My wife has it easy when it comes to picking out a Christmas gift for me. I’m happy if I unwrap a good bottle of single malt, a couple pair of socks and one or two camp gadgets. I figure a collapsible camp chair or even a package of freeze-dried food is better then another pair of flannel pajamas. Outdoor Research is well known for top-quality gloves. I’ve used their Alti Mitts for many years. They’re awesome. Two other models that are getting major reviews on-line are the Lodestar and the Iggy gloves. The Lodestar is super-breathable and water resistant. Best part, however, they dry fast. The Iggy gloves are a step up for warmth. They also have a breathable and waterproof membrane between layers — and the waxed goat leather makes them extremely fashionable. Anyone that uses this camp stove absolutely loves it. I tried one on a canoe trip in Scotland a few years back and have been using one ever since. It’s a type of stick stove — meaning it’s fueled by small twigs, grass, pine cones... The incredible efficiency comes from the air being drawn up from the base with the draft continuously feeding the flames. The water is boiled in a cylinder chamber rather then the base of a pot. My small Trekker model boils water in three minutes or less. This is one cool-looking camp stove. It’s light, compactable and a very efficient way to boil up water. The key features are a piezo auto ignition and an insulated sleeve with a water temperature indicator. It’s small, stylish and clean burning — it runs on butane. My choice of models to place under the tree would be the Flash Java Kit. It’s the regular stove but comes with an attachment that changes the cooking pot into a coffee press. SOL (Survive Outdoor Longer) has some great gift ideas this season. The top seller is the Origin Multi-tool Kit — made up of a wide selection of survival equipment. They have a huge assortment of first-aid kits as well. The one product of theirs I use a lot, however, is the Escape Bivvy. It’s a breathable and weather-resistant survival bag that reflects your body heat back to you. 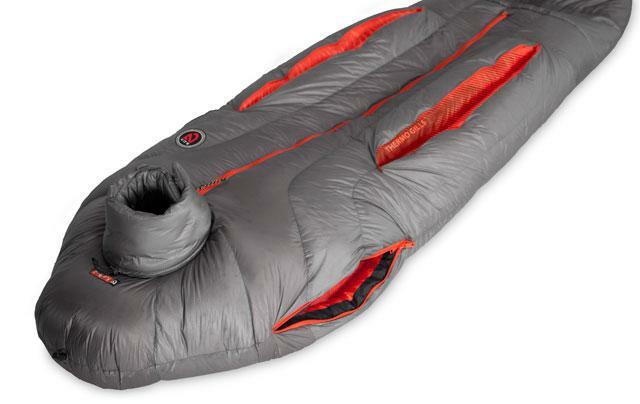 I place it in my summer sleeping bag during shoulder-season trips; it adds extra warmth with minimal additional weight. I’m always impressed with Goal Zero. The company is constantly coming out with new and improved ways to use solar energy to keep your gadgets charged out in the woods. One of the latest devices added to their line is the Yeti 150 Solar Generator. This is more for the campground or cottage but is an excellent way to keep your phone, lights or laptop running via the power of the sun. Forget the hand-knit sweater from your grandmother. I’m not saying that wouldn’t be a nice gift; I just wouldn’t wear something so bulky while playing out in the woods. Merino wool is lightweight, itch-resistant and has anti-bacterial power — which means you don’t stink after wearing it day after day. WoolPower has a great layering system but my all-time favourite is the mid-layer full zip jacket. Winter bags are expensive. I rented one for years, or even combined two summer bags and a sleeping bag liner. It’s just not the same, however, as having your own winter bag — one that’s good to at least -20 degrees Celsius. That’s why it makes one of the best Christmas gifts to give a true hard-core camper. The model that’s getting major hype right now is the Nemo Canon -40 bag. This bag is awesome. It’s designed to hug your body and move as you move through the night. It has gills along the side, which allows you to vent if you get too warm. A top closer protects you from the harshest conditions. The bag is also 850 fill goose down insulated but has a waterproof/breathable membrane. To me, that’s an incredible perk. Problem is, the cost is $1,000. If that’s too pricey of item to put under the tree, then go for the less expensive Nemo -25 degree bag. It will do just fine unless you’re planning on trekking to the North Pole to visit Santa. I highly recommend this camera. I bought the predecessor Nex 5r this spring and used it for filming my Once Around Algonquin video series. It was perfect. The mirror-less camera is the size of my hand, has full HD 1920x1080p video, takes amazing photos with a 16.1 megapixel APS HD CMOS sensor and has the ability to interchange lenses from my old DSLR. It’s also reasonably priced ($600 or less). The new upgrade now gives you the ability to Near Field Communication (NFC) — a wireless connection that easily transfers photos to your Android-based smartphone and also allows you to use your phone as a remote control. I’m not the biggest fan of energy bars. My wife is. She’s a marathon runner and packs all sorts of calorie-dense snacks and flavoured liquid gels. To me, however, CLIF Bars aren’t like the others. They’re tasty, and give you a good boost of energy when you need it. They have less protein then some other brands but they’re rated as having some of the healthier ingredients. CLIF Bars come in a huge variety of flavours — my favourite is chocolate chip. Personally, they also seem to digest in my stomach a lot better then anything else I’ve tried. I give them two thumbs up, especially for a stocking stuffer. A nice Chardonnay or Pinot Noir stored in a Platypus wine container, complete with two collapsible plastic wine glasses, and you’ve got the perfect gift — even if you wrap it up for yourself. I’m not sure if the company realized at first that their water hydration packs would be used by campers to store booze more then water — but they now have a design made specifically for storing spirits. Their wine preservation container is made to ensure your wine stays fresh during the entire duration of your trip.